The V-22 Osprey program is one of the largest scandals in the U.S. military. 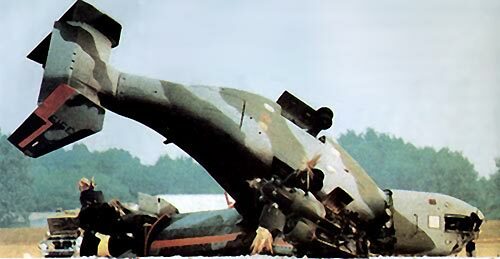 Some 40 years ago, the Marines expressed a desire for an airplane that could land and take-off vertically like a helicopter. 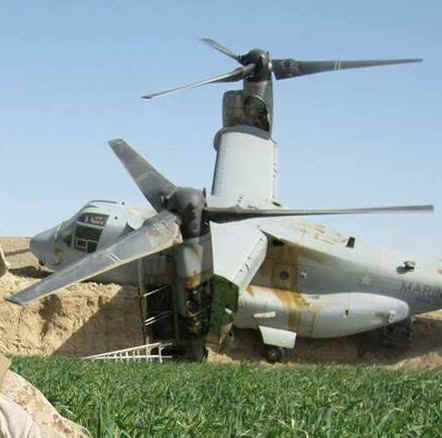 Several prototypes failed, including the latest model - the V-22 Osprey. However, a political caucus developed in the U.S. Congress to support funding. They joined forces with major contractors, Boeing and Bell, to keep the program going and hired retired Marine Generals to help hide flaws. Unfortunately, the media lacks experts who understand how corrupt the weapons' procurement process has become. Reporters are happy to submit news releases from Bell-Boeing as news reports, and quote lies as facts. For example, the combat radius of a V-22 is only half that claimed if it carries a reasonable payload of 6000 lbs and 13,000 lbs of fuel so it doesn't need aerial refueling. G2mil produced a dozen articles over the years about this scandal. These are posted here along with insightful reports and news stories. Apr 2013 - CV-22 is Ultra-Expensive to Fly - $83,256 an hour! Jul 2009 - 40 MV-22s are Missing! - where are they?